FREE DELIVERY FOR NZ ORDERS! Malibu C’s ground-breaking hairdressing treatments feature vitamin crystal technology with an exclusive blend of antioxidants and rich botanicals. Remove damaging impurities and mineral deposits caused by exposure to soft and hard water that can diminish the heath and appearance of hair and scalp, while restoring hair to peak performance. Malibu C Un Do Goo Shampoo removes styling product build up, revealing beautiful colour vibrancy, texture and manageability. Suitable for all ages and hair types, this gentle yet effective formula replaces the harsh clarifying shampoos of times past. To Use: Weekly shampoo with Malibu C Un Do Goo Shampoo. Massage thoroughly into wet hair, then rinse. 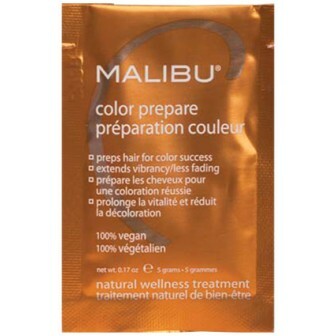 Follow with the appropriate Malibu C Hair Treatment. 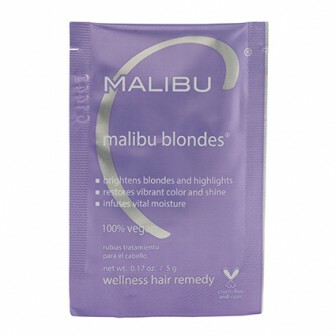 Malibu C Blondes Hair Treatment immediately brightens blondes and boosts highlights. Remove brassy, ashy or chalky tones and restore vibrant colour and radiant shine. 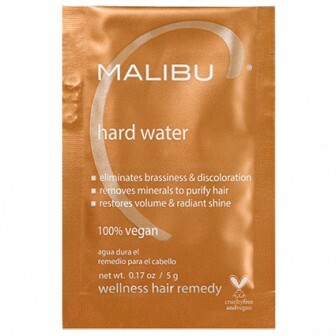 Malibu C Blondes Hair Treatment renews hair into soft and manageable. 100% vegan treatment. Simply mix crystals with warm to discover the benefits of Malibu C treatments. Free of preservatives, parabens, gluten, fragrance and sodium chloride. At least once a week: shampoo, rinse and pour Malibu C Blondes crystals into a wet palm. Rub hands together, adding water to dissolve crystals creating a paste-like consistency. Apply and scrunch throughout hair, allowing to remain for 5 minutes. Rinse, shampoo, rinse thoroughly and apply conditioner. Tired of having dazzling blondes that turn drab and muddy soon after having coloured? Need a solution to transform hair tone, texture, vibrancy and strength? 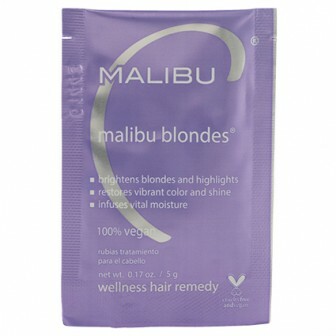 Let us show you the Malibu C Blondes Wellness Hair Collection. Instantly amplifies and brightens natural blondes, bleached or highlighted hair. 100% vegan. This groundbreaking collection keeps natural, highlighted and bleached blondes bright, bold and beautiful. 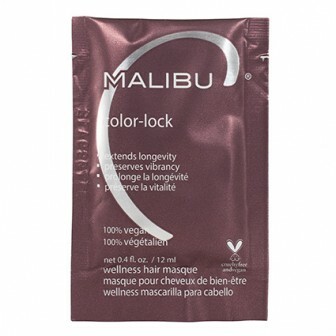 Malibu C puts a lock on your hair colour. In a nifty 12ml sachet size, Malibu C Color-Lock Masque contains exactly the right amount of masque needed no guesswork needed. Great for travel or on-the go or as an introduction to Malibu C before committing to a full-size product. This advanced hair treatment harnesses vegan technology to protect colour vibrancy and longevity. Intensive hydrating agents rescue dry, damaged hair, revealing brilliant colour, weightless shine and smooth, strengthened hair. Great for all hair types and colours. Apply masque to clean, damp hair from roots to tips, then comb through. Wrap hair in a towel and apply a shower cap and allow to remain on hair a minimum of 10 minutes, then rinse. For extremely damaged hair, masque may be left on hair overnight. 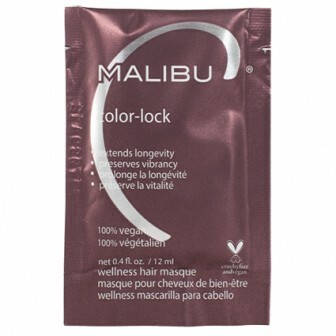 Malibu C puts a lock on your hair colour. In nifty 12ml sachet sizes, Malibu C Color-Lock Masque contains exactly the right amount of masque needed no guesswork needed. Great for travel or on-the go or as an introduction to Malibu C before committing to a full-size product. This advanced hair treatment harnesses vegan technology to protect colour vibrancy and longevity. Intensive hydrating agents rescue dry, damaged hair, revealing brilliant colour, weightless shine and smooth, strengthened hair. Great for all hair types and colours. Colour Prepare Naural Wellness Hair Treatment draws out malicious minerals that sabotage colour. Restore a clean canvas for successful colour results every time. 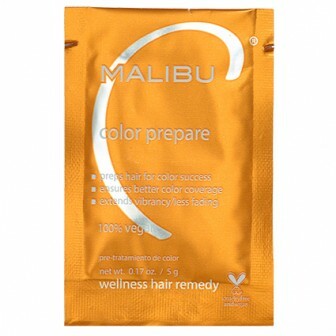 Malibu C Colour Prepare Wellness Hair Treatment protects colour and extends vibrancy by keeping brighter longer. 100% vegan treatment. Prep hair for colour success! Shampoo, rinse and pour the crystals into your wet palm then rub hands together to activate, adding water to dissolve the crystals creating a paste-like consistency. Apply and scrunch through hair, allowing to remain for 5 minutes. Shampoo again, rinse thoroughly and do not condition hair. Allow hair to air dry or blow-dry but without using any styling products and follow with an in-salon colour service within 24 hours. The Malibu C Colour Wellness eco-chic conditioner is formulated with superior wellness ingredients nourishes, moisturizes, strengthens, and protects color-treated hair. Malibu C Colour Wellness Hair Collection is an at home maintenance system that assists in keeping colour treated hair refreshed and radiant between salon visits and preps hair for next in-salon colour service. Ideal for all hair types except white, non-pigmented hair. 100% vegan. The Colour Wellness Hair Collection also helps to remove mineral deposits and impurities which sabotage colour, sustains longer lasting colour and moisture retention, as well as preserving the vibrancy of colour treated hair. Beautiful colour awaits! wellness ingredients nourishes, moisturizes, strengthens, and protects color-treated hair. 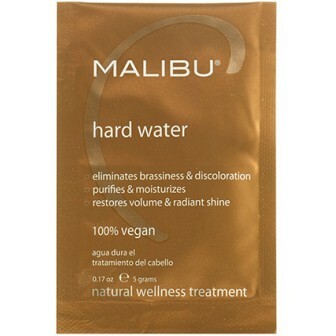 Malibu C Hard Water Wellness Hair Treatment removes hard water deposits and impurities, leaving hair instantly softer, shinier and full of body. Eliminates brassiness, discolouration and damage caused by mineral absorption. Vitamin infused formula, including vitamin C, deeply penetrates for superior moisture retention. Restores volume and radiant shine! At least once a week shampoo, rinse and pour Hard Water crystals across wet palm. Rub hands together, adding water to dissolve crystals. Apply and scrunch throughout hair, leave for up to 5 minutes. Rinse, shampoo, rinse thoroughly. Apply conditioner. 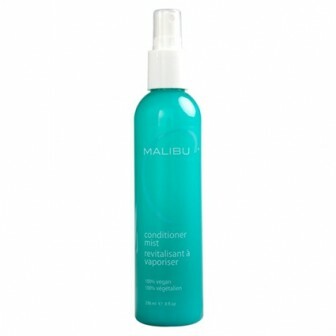 For damaged hair, the Malibu C Miracle Repair Hair Treatment is recommended instead of conditioner. 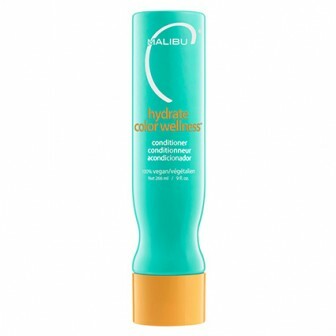 Malibu C hydrate conditioner preserves and protects colour vibrancy, vegan hydrators replenish vital moisture for silky softness. Innovative ingredient technology that delivers unparalleled preservation of brilliant colour. Reparative formula that defends against dryness and instantly injects body, volume and shine. Powerfully effective blend of moisture rich conditioners that leave hair hydrated. Superior to all colour care shampoos, this 100% vegan , sulphate free, colour-safe shampoo infuses an intensive dose of hydration while gently cleansing and fiercly fighting colour fade for unparalleled colour protection. Sulphate free suds sublimely scented with proprietary aromatic cocktail of signature Malibu Fusion. 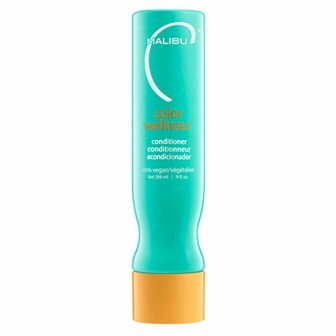 Malibu C Leave In Conditioner Mist instantly conditions for tangle-free locks which glisten with shine. Protects against heat and water damage. Enhanced with aloe, vitamins and botanical extracts for a weightless, pH balanced formula which hydrates and strengthens. Restores manageability without frizz. Directions: Spray Malibu C Leave In Conditioner Mist throughout dry or set hair. Style as desired. For added protection against the damaging effects of pool or salt water, spray into hair before swimming. 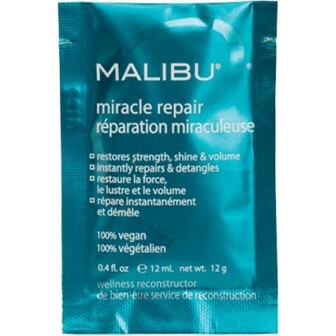 Malibu C Miracle Repair Wellness Hair Reconstructor hair treatment seeks out hairs weak spots to strengthen strands from within. Instantly repair and detangle dry, damaged hair. Antioxidant vitamins B5 and E infuse vital moisture. 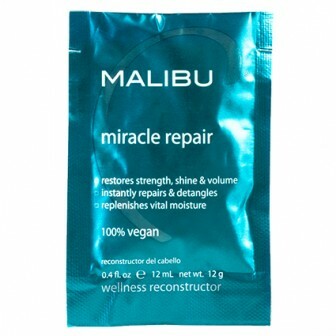 Malibu C Miracle Repair transforms hair to renew radiant shine, natural bounce and movement. Protects against further damage. 100% vegan and gluten-free. Safe for all ages, all hair types. Following shampooing, apply Miracle Repair and allow to remain on hair for 3 5 minutes, then rinse. For severely damaged hair, apply a processing cap and expose to heat for 5 10 minutes, then rinse.